Laser Hair Removal– A professional cosmetic laser using pulsed laser energy to remove unwanted hair from a targeted area, such as the upper lip, chest, underarms, back, bikini line and leg. IPL/Photo-Facial- Intense-Pulsed-Light (IPL) skin rejuvenation uses high-energy pulses of light to improve the skin’s appearance. 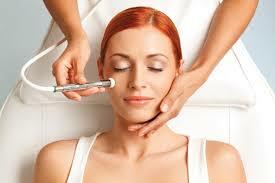 Used to treat age spots, birthmarks, freckles, rosacea, spider veins, stretch marks and scarring from acne. Laser Lipo Treatments– Infrared technology enter the subcutaneous layers of the skin to freeze fat cells in targeted areas before they are naturally expelled through the body.